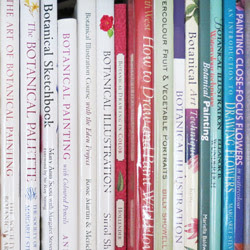 The Best Books about Botanical Artists & Illustrators - about famous botanical artists in the past. 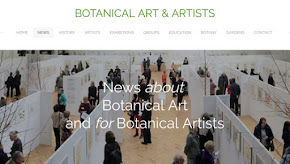 If you love looking at paintings of gardens or enjoy drawing or painting your own garden or gardens you visit then this site will interest you. It also looks at gardens as art and artwork in gardens. information and advice about composition and design for artists. 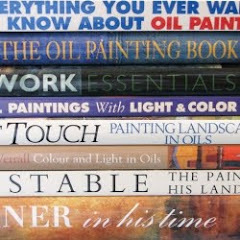 various books concerned with composition and design. 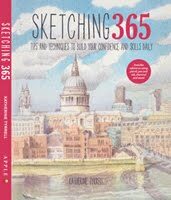 Find out about drawing and sketching. 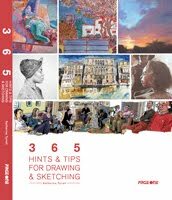 This site shares advice and information about drawing and sketching - materials, drawing communities and forums, instruction books and other resources which support the development of drawings and sketches. What's the best way for an artist to sign a painting? Should you date as well as sign a painting? How can you identify the genuine signature of an artist? Where can I see artists signatures? These are just some of the questions about signatures asked by artists and art lovers. Unison produce a really great range of highly pigmented sets of Soft Pastels in colour values which are completely addictive. Recently Unison topped a poll to find artists' favourite brand of soft pastels. I'm a massive fan of Unison Pastels and I'd like to share what I know with all soft pastel addicts. On this site you can find out all about Unison Pastels. This lens provides information and advice for artists using pen and ink. 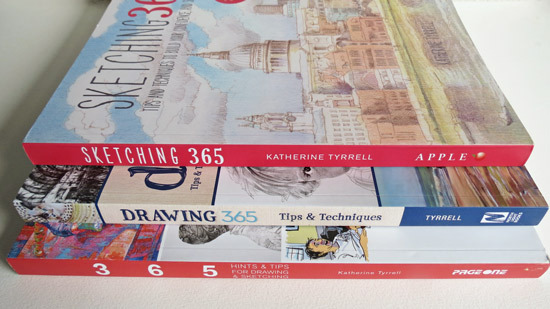 Topics covered include tips and techniques for working with pen and ink, books about working in pen and ink and information about different brands of pens suitable for artists and ink brands and associated products. This lens is about egg tempera and provides links to all sorts of websites associated with egg tempera - other websites providing information about egg tempera, artists, supports and grounds, pigments and pigment suppliers in the UK Europe and the USA, books, instruction and workshops about egg tempera and forums for egg tempera artists. 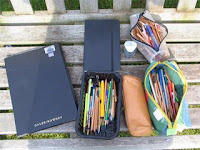 This site is about portrait painting and drawing. 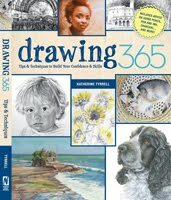 Do you want to learn how to draw or paint people? Or maybe you want to know more about portrait societies or portrait competitions; portrait artists or portrait exhibitions; portraits in museums or portraits online? This lens aims to provide resources for feline artists. It shares information about feline art - societies, collections, books and other resources which support the stimulation and development of feline art. Wildlife Art is hugely popular and attracts a very big following in terms of both artists and people who love animals. So much so that as a genre, it has art societies, exhibitions, competitions and galleries which are dedicated to the cause. Do you have a link for this site? Miniature Art - Resources for Artists This lens is about miniature art and netsuke. It shares information about miniature art and netsuke - art societies, exhibitions, materials, forums, books and other resources which support the development of miniature art. 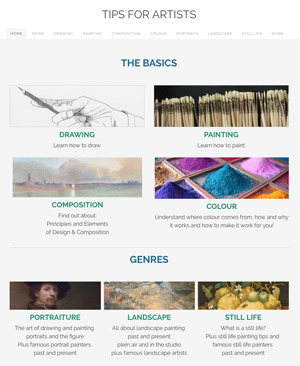 Are you interested in doing a fine art course? Are you trying to decide which art school to apply to? Do you know what your choice is if you want to do an undergraduate degree or postgraduate course in art and/or design? 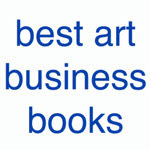 This lens provides resources for people who would like to know more about art colonies, art communities and artists' networks - places where artists have created groups and communities and ways of communicating within a specific locality. The site is about Venice and provides resources for artists and art lovers visiting Venice. The information it contains is based on the suggestions of artists who have visited Venice or live in Venice. Have you ever thought about going on a painting holiday? Maybe you'd like to improve on your experience last time? Or maybe you're thinking of providing painting holidays or workshops and are wondering what you need to do.